...loading offers Locate a Dealer to learn more about offers. 1. Example based on national average vehicle selling price. Each dealer sets its own price. Your payments may vary. 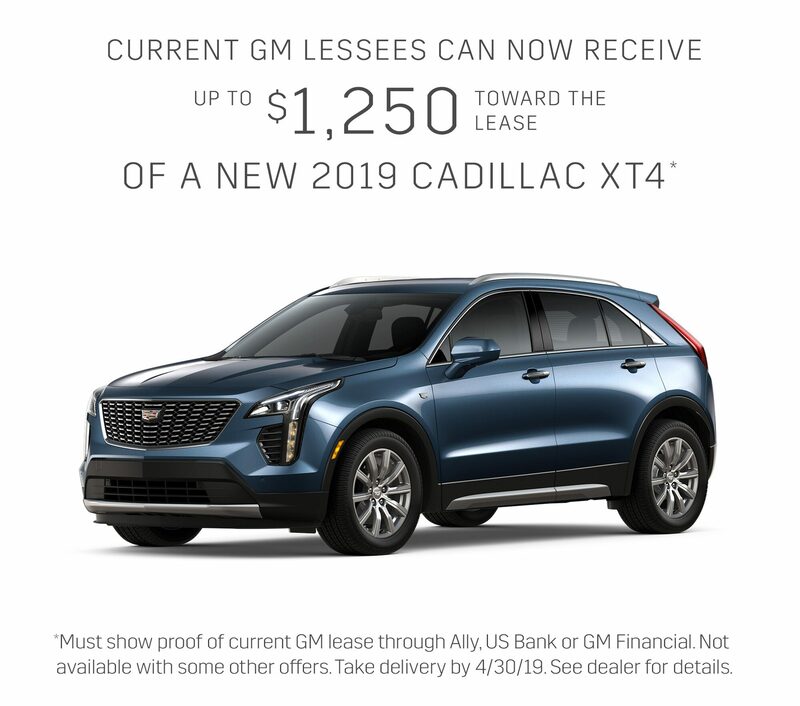 Payments are for a 2019 Cadillac XT4 Premium Luxury with an MSRP of $40,290. 36 monthly payments total $12,917.88. Mileage charge of $.25/mile over 30,000 miles. 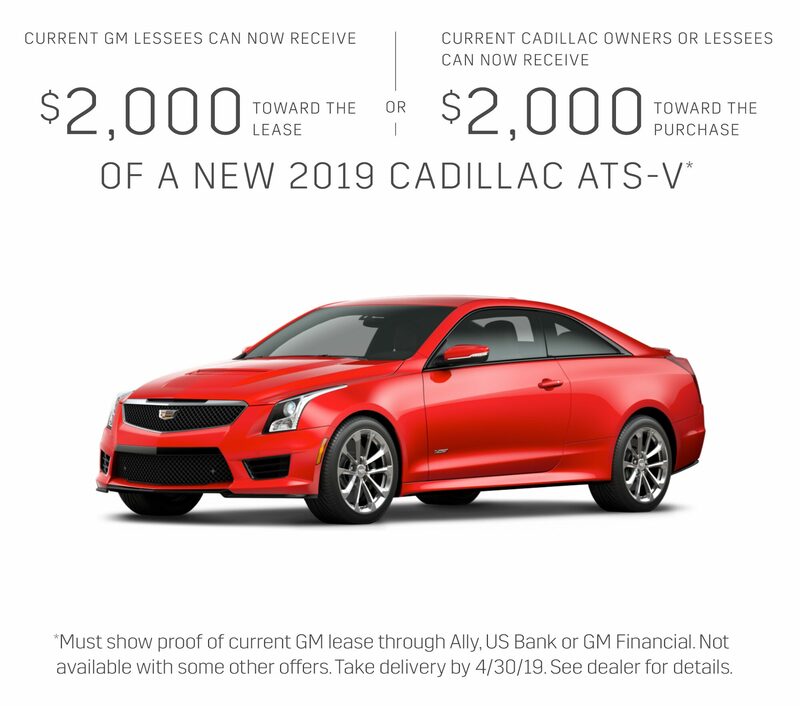 Option to purchase at lease end for an amount to be determined at lease signing. GM Financial must approve lease. Take delivery by 4/30/19. 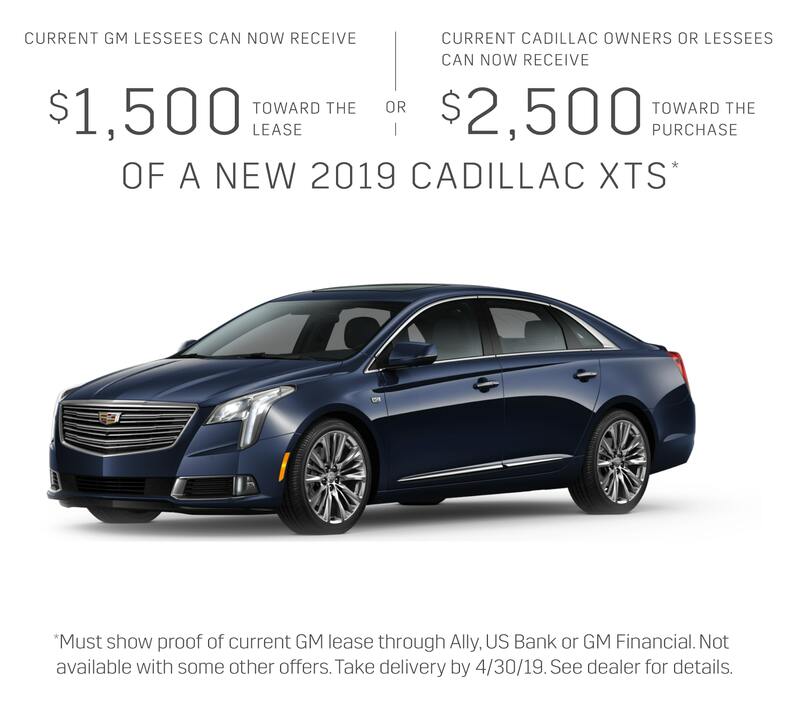 Lessee pays for maintenance, excess wear and disposition fee of $595 or less at end of lease. Payments may be higher in some states. Not available with some other offers. Residency restrictions apply. 2. Example based on national average vehicle selling price. Each dealer sets its own price. Your payments may vary. 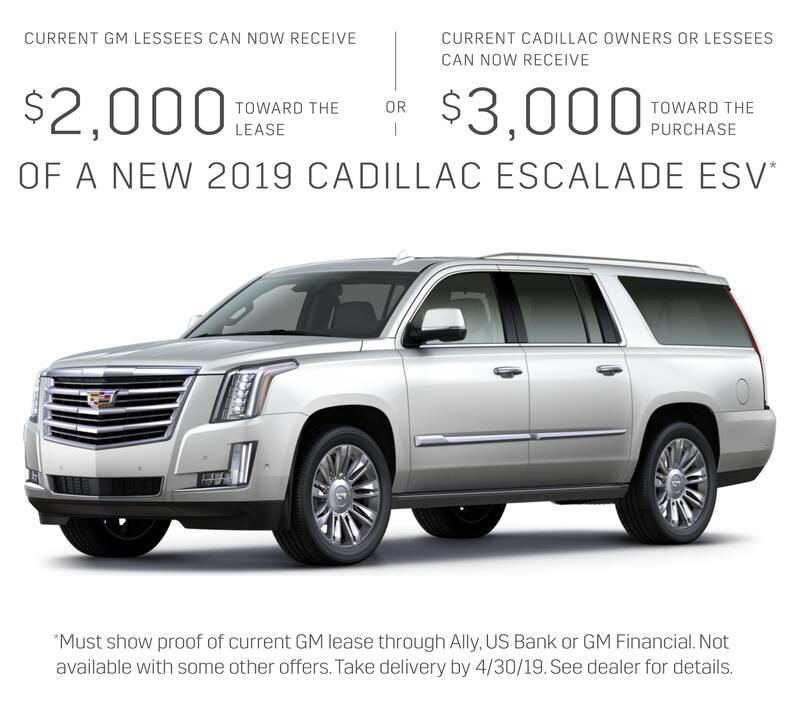 Payments are for a 2019 Cadillac Escalade Luxury with an MSRP of $85,090. 36 monthly payments total $29,471.04. Mileage charge of $.25/mile over 30,000 miles. Option to purchase at lease end for an amount to be determined at lease signing. GM Financial must approve lease. Take delivery by 4/30/19. 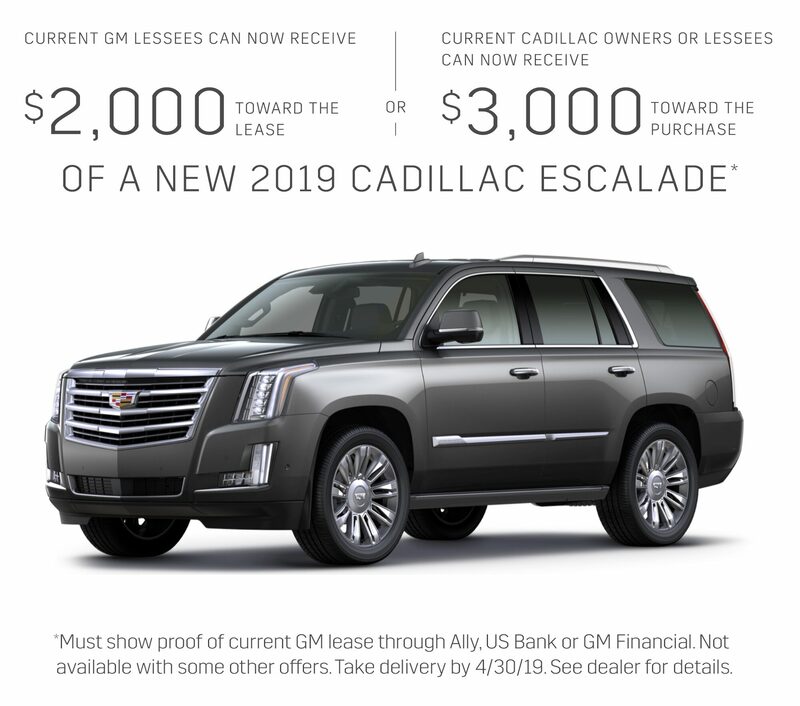 Lessee pays for maintenance, excess wear and disposition fee of $595 or less at end of lease. Payments may be higher in some states. Not available with some other offers. Residency restrictions apply. 3. Example based on national average vehicle selling price. Each dealer sets its own price. Your payments may vary. 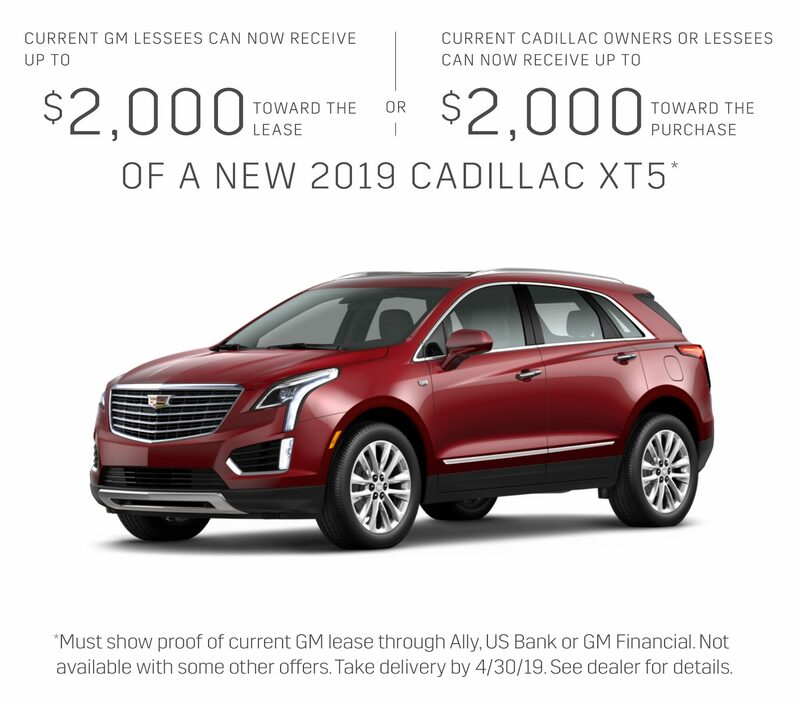 Payments are for a 2019 Cadillac XT5 FWD Standard with an MSRP of $42,690. 39 monthly payments total $13,994.76. Mileage charge of $.25/mile over 32,500 miles. 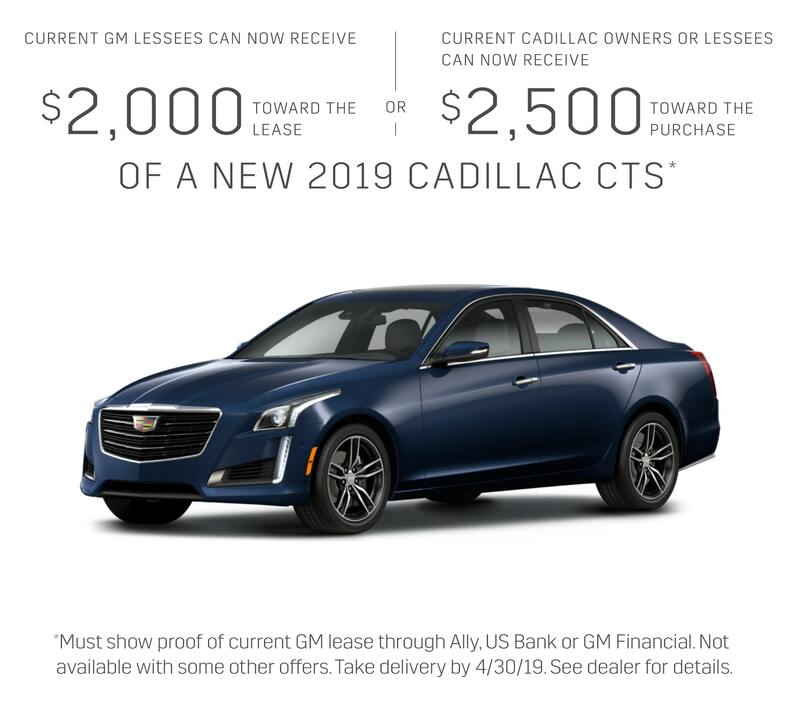 Option to purchase at lease end for an amount to be determined at lease signing. GM Financial must approve lease. Take delivery by 4/30/19. 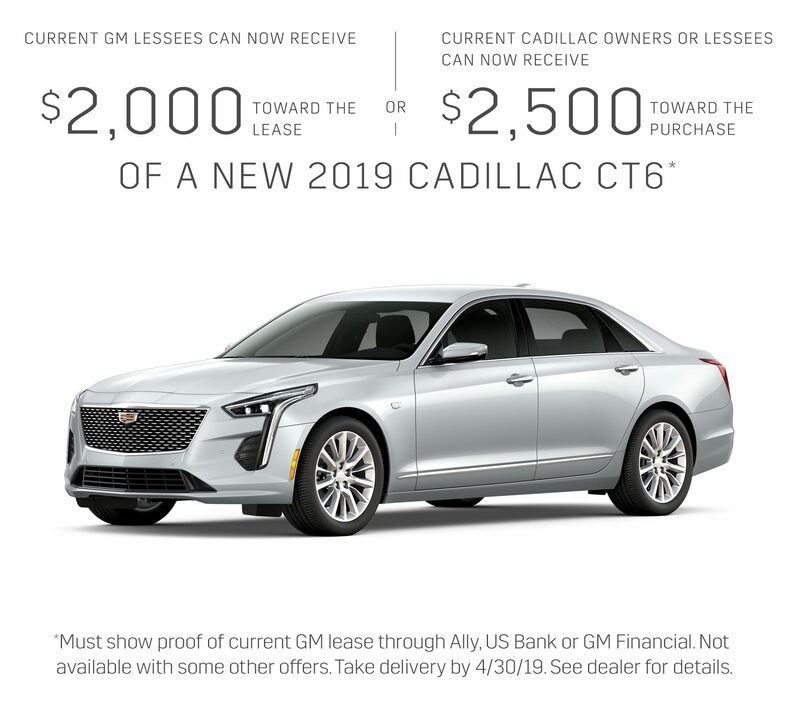 Lessee pays for maintenance, excess wear and disposition fee of $595 or less at end of lease. Payments may be higher in some states. Not available with some other offers. Residency restrictions apply.